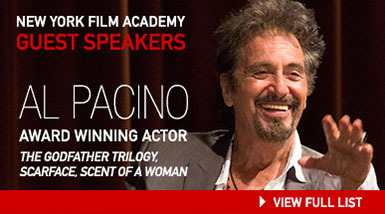 The New York Film Academy provides an environment unlike any other in which students can flourish as filmmakers. Our camps are designed for kids ages 10-13 and teens ages 14-17. The Academy offers a wide variety of film camps that actively prepare young aspiring filmmakers through intensive, hands-on education. With locations in the United States, Europe, and Australia, students have the option to study in a number of different cities and destinations, providing our film students with incredible backdrops in which to shoot their original films, whether it be the streets of New York City; the beaches of South Beach, Florida and Sydney and Gold Coast, Australia; or the historical landmarks of Florence, Italy and Paris, France. In addition to our numerous locations, the Academy has developed Film Camps for both kids and teens, with each camp organized to immerse young filmmakers in the craft of filmmaking. 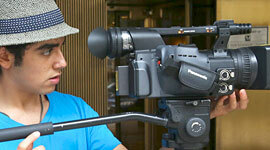 To learn more about our Film Camps, please click on the following links for either our Kids or Teen Film Camps.